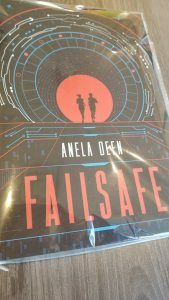 A signed copy of Failsafe! When I read this book, I received a eARC of it, so I was over the moon to finally have a physical copy let alone signed! 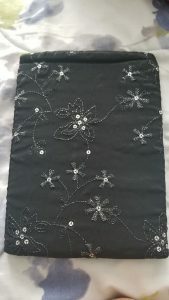 A one of a kind book sleeve! Y’all I love florals, so I was so excited about this book sleeve design! It fits my paperbacks quite well. 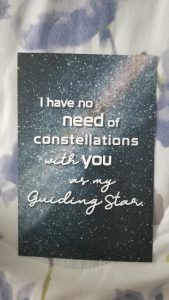 Magnetic bookmarks of Sol & Echo! 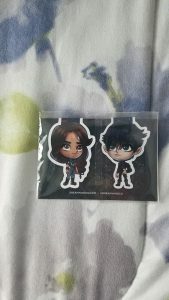 I was so happy to add these to my evergrowing collection of magnetic bookmarks. 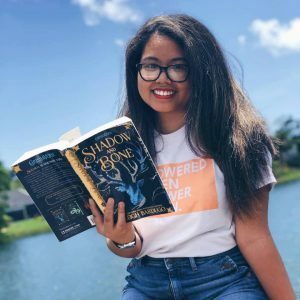 This couple managed to warm my heart in just one standalone novel and now I can carry a little bit of them with every title I read! These were also made by one of my favorite stores: Dreamy&Co! Honestly, if I hadn’t read the book already, this quote by itself would be enough to make me want to read it because it’s just so cute! On the other side, is an adorable drawing of Echo and Sol! 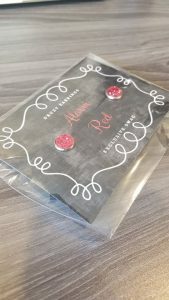 One of my favorite colors is red and it’s also a cute reference to the novel, but these earrings are simple yet fashionable! Unfortunately, I get allergic reactions when I try to wear most earrings, so I haven’t tried to wear them yet but maybe I’ll brave it in the future just for a little bit. 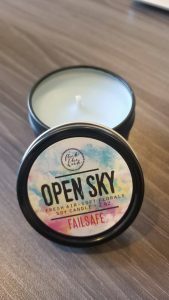 Open Sky scented candle by FlickTheWick! I have heard so much about FlickTheWick, but I just never got around to being able to order candles. Thankfully, there’s one that came in this box and the scent is light & fresh! Unfortunately, I took all these photos right before heading home for the holidays and I completely forgot to take a photo with all the items in it, but if you’re interested in ordering a box you can do so here! Also, I apologize for some of the photo quality, because I took some of them while in a study room on a study break. 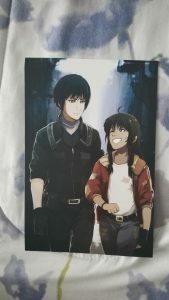 Again, I’m really thankful for the chance to review this box and to Anela Deen for also bringing these characters and their story to life.